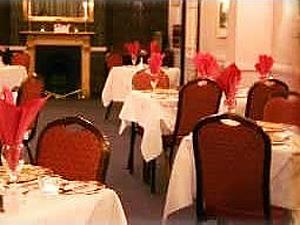 Stuart House Hotel Restaurant01553 772169work RestaurantPrepared whenever possible from fresh, seasonal local produce, ingredients are sourced locally from the local butcher, grocer and fresh fish merchant. The overall atmosphere is genuinely friendly and relaxed throughout. The emphasis is on quality and value. Gourmet dinners, themed evenings and events take place on a regular basis. Please see the entertainment section of our website. Prepared whenever possible from fresh, seasonal local produce, ingredients are sourced locally from the local butcher, grocer and fresh fish merchant. The overall atmosphere is genuinely friendly and relaxed throughout. The emphasis is on quality and value. Gourmet dinners, themed evenings and events take place on a regular basis. Please see the entertainment section of our website. The restaurant is closed at lunchtime. However, pre-booked lunches for 12 or more can be accommodated by prior arrangement. Monday to Saturday - 7.00pm to 9.30pm. Sunday Evening - 7.00pm to 9.00pm.